In high-density PCBs or complex design PCBs, the trace width and space for circuitry are tight, more layers in the PCB are required so that high signal transmission throughout the PCB or the hassle of connecting through-hole components can be ensured under the help of the added structure to the PCB layout designing. These structures, called vias, are actually copper-plated holes and provide the layer-to-device interconnect. There are common three types of vias that are through-hole, blind and buried vias. For a regular or through-hole via, drilling is done in such a way that connects between the external layer to the other side of the external layer is made. Blind and buried vias are widely used in surface mount technology PCB. Through drilling for blind via, the connection between inner layers to an external layer is made and a blind via drilling is done in multiple internal layers of PCB and thus, it interconnects only PCB layers internally. Just like the name, the buried vias aren’t visible physically as they are buried internally. Designing PCB with blind and buried vias is as easy as with regular vias. When adding blind and buried vias into the layout, a designer should make sure that the diameter of via is as small as possible as this creates more routing space and less the parasitic capacitance will be. Firstly drill needs to be done in one or between multiple copper cores of PCB. For this, drill size and aspect ratio is necessary to determine for the hole for blind and buried vias. An aspect ratio is the ratio of thickness needed for the printed circuit board and via pad’s diameter. A blind via pad’s diameter should be no greater than 450 μm containing a range of via diameter between 0.4 mm to 150 μm and an annular ring of 127 μm. And a buried via pad’s diameter should be no greater than 300 μm containing a range of via diameter between 0.4 mm to 100 μm and an annular ring of 150 μm. These ranges may vary according to project’s demand. 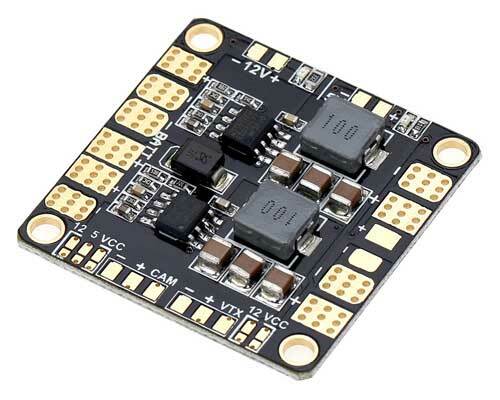 It is also favorable for a designer to build vias according to PCB manufacturing specifications. Therefore consult your PCB vendor in the early designing stage for the spacing and PCB layer sequence. This significantly reduces the cost of manufacturing PCB with buried and blind vias.